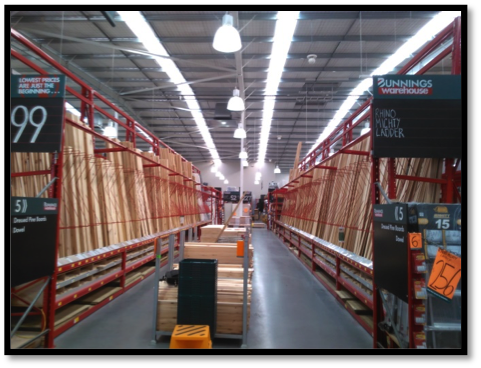 In mid-2015, G-Force Assembly was tasked with rolling out a new supplier into Bunnings’ indoor timber and cut moldings category in New Zealand. The transition meant performing a full relay in all stores with the dedicated range and set them up for a sell-through process of the equivalent range for the new supplier. In the second quarter of 2013, G-Force’s Assembly Division was to complete the changeover of a completely new range of flat packed modular wardrobe storage products and their displays on behalf of the Bedford Group. In the final quarter of 2013, G-Force’s Assembly Division took on a task too big for most other merchandising companies: the national implementation of new layout standards across 4 categories concurrently.